This license shall automatically terminate if you violate any of these restrictions and may be terminated by Neighborhood Parcel at any time. Upon terminating your viewing of these materials or upon the termination of this license, you must destroy any downloaded materials in your possession whether in electronic or printed format. The materials on Neighborhood Parcel’s web site are provided “as is”. Neighborhood Parcel makes no warranties, expressed or implied, and hereby disclaims and negates all other warranties, including without limitation, implied warranties or conditions of merchandise fitness for a particular purpose, or non-infringement of intellectual property or other violation of rights. Further, Neighborhood Parcel does not warrant or make any representations concerning the accuracy, likely results, or reliability of the use of the materials on its Internet web site or otherwise relating to such materials or on any sites linked to this site. In no event shall Neighborhood Parcel or its suppliers be liable for any damages (including, without limitation, damages for loss of data or profit, or due to business interruption,) arising out of the use or inability to use the materials on Neighborhood Parcel’s Internet site, even if Neighborhood Parcel or a Neighborhood Parcel authorized representative has been notified orally or in writing of the possibility of such damage. Because some jurisdictions do not allow limitations on implied warranties, or limitations of liability for consequential or incidental damages, these limitations may not apply to you. The materials appearing on Neighborhood Parcel’s web site could include technical, typographical, or photographic errors. Neighborhood Parcel does not warrant that any of the materials on its web site are accurate, complete, or current. Neighborhood Parcel may make changes to the materials contained on its web site at any time without notice. Neighborhood Parcel does not, however, make any commitment to update the materials. Neighborhood Parcel has not reviewed all of the sites linked to its Internet web site and is not responsible for the contents of any such linked site. The inclusion of any link does not imply endorsement by Neighborhood Parcel of the site. Use of any such linked web site is at the user’s own risk. Any claim relating to Neighborhood Parcel’s web site shall be governed by the laws of the State of Massachusetts without regard to its conflict of law provisions. 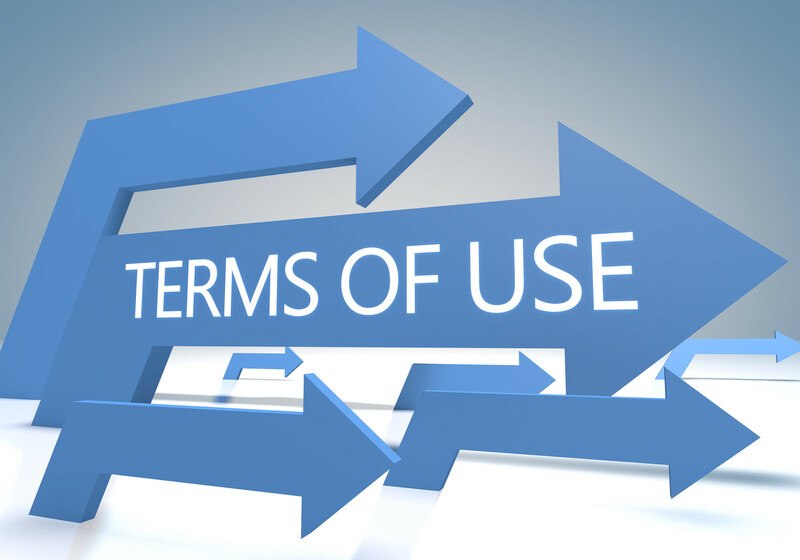 General Terms and Conditions are applicable to Use of a Web Site. Shipments that require us to obtain a local, state or federal license for their transportation. Shipments or commodities that are prohibited by applicable local, state or federal law. Notwithstanding any other provision of our Service Guide, we are not liable for delay of, loss of or damage to a shipment of any prohibited item. The shipper agrees to indemnify Neighborhood Parcel and its Shipping Carriers for any and all costs, fees and expenses our company incurs as a result of the shipper’s violation of any local, state or federal laws or regulations or from tendering any prohibited item for shipment. Transactions of $500.00 or more require a Bank Money Wire as sole Method Of Payment. Refunds or Reimbursements are prohibited and subject to the sole discretion of our C.O.O. We do not grant consumers Credit Privileges. NEIGHBORHOOD PARCEL AND ITS AFFILIATES WILL NOT BE LIABLE FOR ANY DAMAGES IN EXCESS OF THE DECLARED VALUE OF A SHIPMENT, WHETHER OR NOT OUR COMPANY KNEW OR SHOULD HAVE KNOWN THAT SUCH DAMAGES MIGHT BE INCURRED. In no event shall Neighborhood Parcel, including, without limitation, agents, contractors, employees, and affiliates, be liable for any special, incidental or consequential damages, including, without limitation, loss of profits or income, whether or not Neighborhood Parcel had knowledge that such damages might be incurred. We will not be liable for, nor will any adjustment, refund or credit of any kind be given as a result of, any loss, damage, delay, mis-delivery, nondelivery, misinformation or any failure to provide information, except such as may result from our sole negligence. We will not be liable for, nor will any adjustment, refund or credit of any kind be given as a result of, any loss, damage, delay, mis-delivery, nondelivery, misinformation. In no event will Neighborhood Parcel be liable for any incidental, indirect, consequential, punitive or special damages of any kind, or any other damages whatsoever, including, without limitation, those resulting from loss of profit, loss of contracts, loss of reputation, goodwill, data, information, income, anticipated savings or business relationships, whether or not Neighborhood Parcel has been advised of the possibility of such damage, arising out of or in connection with the use of this website or any linked websites. By using this website you agree to the exclusions and limitations of liability stated above and accept them as reasonable. Do not use this website if you do not agree that they are reasonable. If any of the content of this disclaimer notice is found to be illegal, invalid or unenforceable under the applicable law, that will have no bearing on the enforceability of the rest of the disclaimer notice and the illegal, invalid or unenforceable part shall be amended to the minimum extent necessary to make it legal, valid and enforceable. All material on this website, including text and images, is protected by copyright law and such copyright is owned by Neighborhood Parcel unless credited otherwise. It may not be copied, reproduced, republished, downloaded, posted, distributed, broadcast or transmitted in any way without the copyright owner’s consent, except for your own personal, non-commercial use. Prior written consent of the copyright owner must be obtained for any other use of the material. Copyright of all images on this site remains with the artist or copyright owner at all times. No part of this site may be distributed or copied for any commercial purpose or financial gain. All intellectual property rights in relation to this website are reserved and owned by Neighborhood Parcel. Our introductory rates are valid for the first subscription cycle. Retail rates will be applied to all future renewals. We must receive notice of all claims, including, but not limited to, claims for nondelivery, damage or misdelivery, within 2 weeks of package delivery. Notice of claims for which you are seeking more than US$100 must be in writing. All claims must be made within the time limits set forth previously. Your notice of claim must include complete shipper and recipient information, as well as the tracking number, date of shipment, number of pieces, and shipment weight. Failure to provide us with notice in the manner and within the time limits set forth in paragraphs (A) through (B) will result in denial of your claim, and we will have no liability or obligation to pay your claim. The filing of a lawsuit does not constitute compliance with these notice provisions. Written documentation supporting the amount of your claim must be delivered to us within one (1) months after the package was tendered to us for shipment. Such documentation may include original purchase invoices, estimates or invoices for repair, expense statements, appraisals, final confirmation screen if online order with proof of payment, or other records. These documents must be verifiable to our satisfaction. All payments made to our company, unless otherwise stated on the specific service guide, are nonrefundable once the service has been performed or initiated. All requests for a refund must be submitted within 15 Days of payment. We are committed to conducting our business in accordance with these principles in order to ensure that the confidentiality of personal information is protected and maintained while we protect our company’s interest. This disclaimer notice shall be interpreted and governed by U.S law, and any disputes in relation to it are subject to the jurisdiction of the courts in Massachusetts.